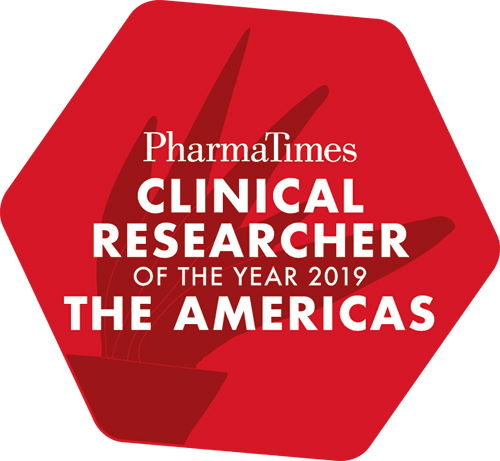 Applications can only be accepted online via the official competition website Clinical Researcher of the Year - The Americas and only accepted when the candidate indicates a positive approval from their manager. All materials submitted will be treated with the strictest confidence by Executive Steering Committee, the judges and the organizer, PharmaTimes. PharmaTimes cannot be held responsible for late or lost entries. The results in each category are announced on stage at a spectacular awards ceremony and the winner is presented with The Pharma. Only one entry from each candidate will be accepted per year. All Entrants must agree to publicity in respect to their entry, both before and after the Awards event at which the winners will be announced. Finalists must be able to attend the Finals Day in Boston, and are expected to attend the Awards Dinner on the same day for the announcement of the winners. The Executive Steering Group reserves the right to withdraw or transfer the award at their absolute discretion. Copyright of all materials assembled by the organizer of the Competition will remain the property of the organizer.